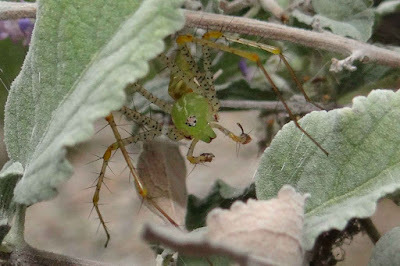 Your Daily Dose of Sabino Canyon: Don't look, Honey-Matt! 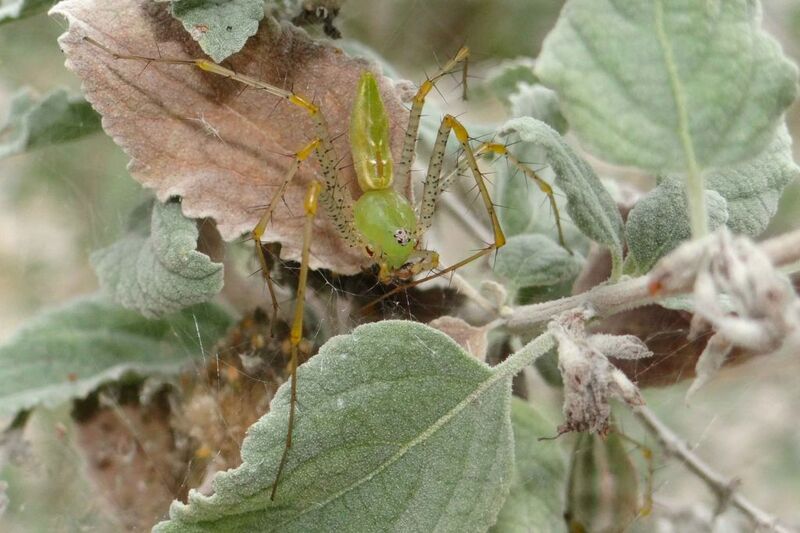 and noticed the boxing glove-like pedipalps which are used by males to transfer sperm during mating. 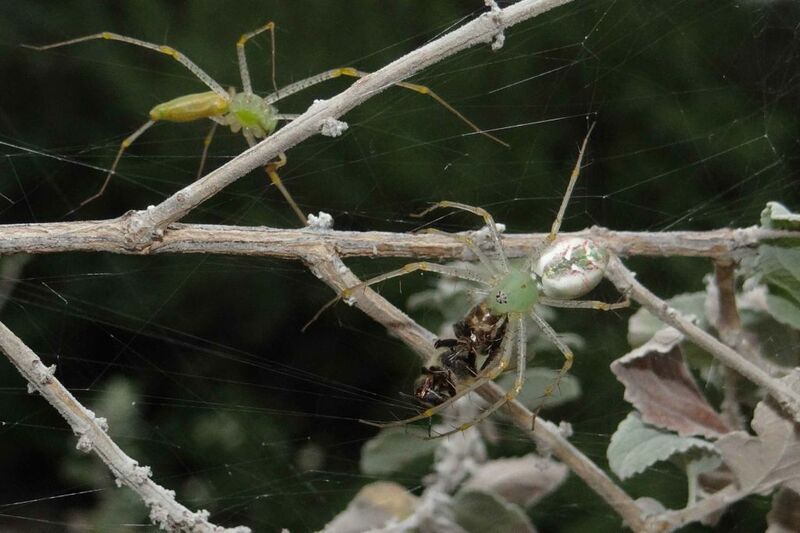 After mating the female makes a silk egg sac which is attached to a plant and she stays with it until the spiderlings hatch. 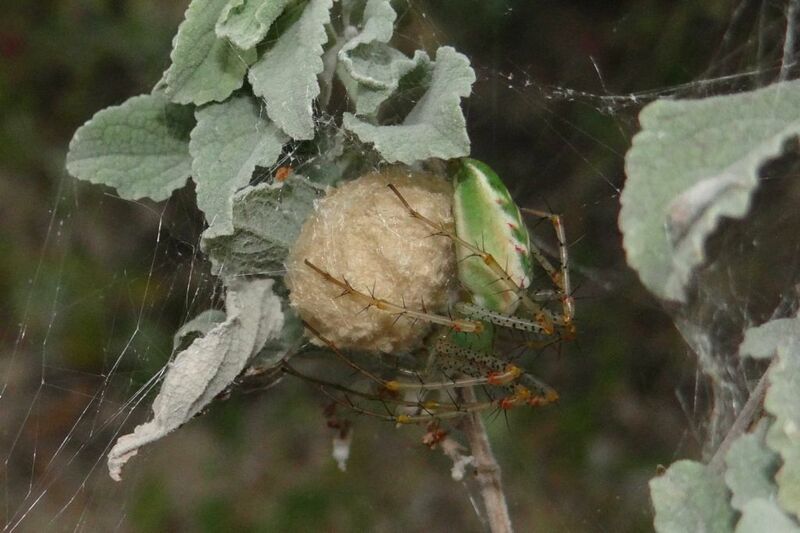 She actually protects the egg sac by squirting venom at intruders. 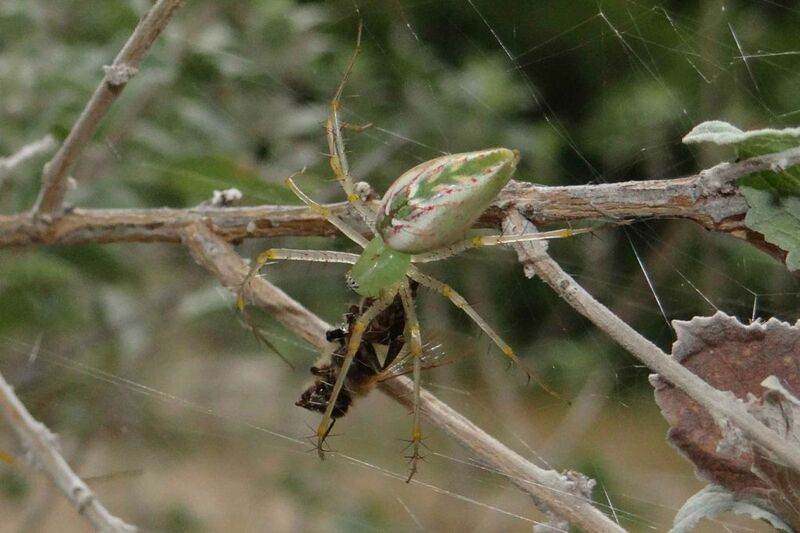 When the young do hatch she helps by cutting open the egg sac. 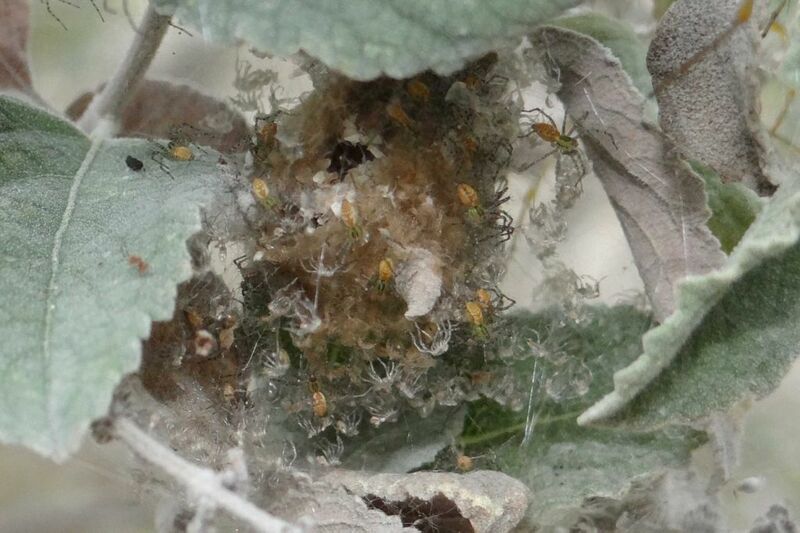 The spiderlings are on their own and disperse to find prey. In the photo the spiderlings all have orange abdomens while the pale spider-like things are the shed skin from the first molt.